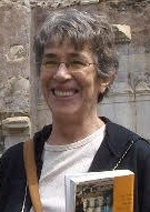 Sharon Kourous spent much of her career teaching high school literature and composition. She now shares her love of literature and her experience as a writer and teacher with the high school literature classes. She enjoys travel, gardening, and reading as wonderful retirement avocations. But she has found her greatest fulfillment in retirement by working with high school students. Her family includes her daughter’s family in Monroe and her son’s in Rome, Italy. Sharon Kourous can be reached at skourous@meadowmontessori.org.